The eurozone should move to a banking union and consider directly recapitalizing banks from its permanent bailout fund, the European Stability Mechanism, says the European Commission. 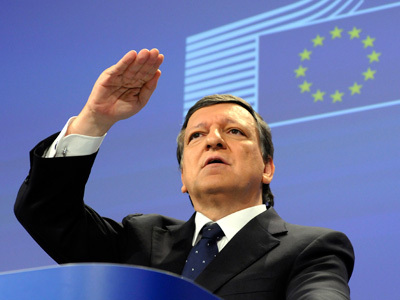 ­Commission President Jose Manuel Barroso told a news conference that tighter eurozone integration could include a banking union, a joint bank deposit guarantee scheme and euro-area financial supervision, saying the mood had changed since member states only months ago unanimously rejected a joint deposit guarantee fund. The call for a banking union was made in the commission’s annual economic recommendations, outlining the economic strategy for the eurozone and particularly addressing the burning issue with Spanish debt, has sent stocks and the euro higher. The European Union's executive arm said that the crisis had slowed the financial integration process and "ambitious steps to accelerate and deepen financial integration may be needed." "A closer integration among the euro area countries in supervisory structures and practices, in cross-border crisis management and burden sharing, towards a 'banking union' would be an important complement to the current structure of the Economic and Monetary Union," the European Commission said in the documents. 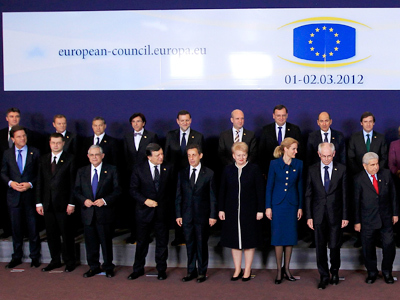 The commission said the vicious circle of weak banks and indebted sovereigns lending to each other needed be severed. “Direct recapitalization by the European Stability Mechanism ESM might be envisaged,” it added. The ESM, which comes into force in July, cannot lend directly to banks, only to sovereigns, even if only for the specific purpose of bank recapitalization. On Wednesday, Spanish government borrowing costs earlier rose and the Madrid stock market hit a nine-year low as investors were put off by fears about its financial sector. 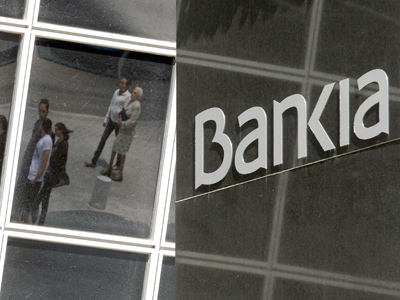 Investors are worried that public finances in Spain, which is slow at cutting its huge budget deficit, will become unsustainable if it is forced to bail out is banks, after a real-estate market boom turned to collapse and left nearly all banks laden with bad property loans. Germany also strongly opposes allowing the ESM to directly recapitalize banks, something Spain wants for its ailing banking system. European stock markets rebounded and the euro jumped on the back of the recommendations, even though they are just verbal proposals and face serious opposition from some member states. 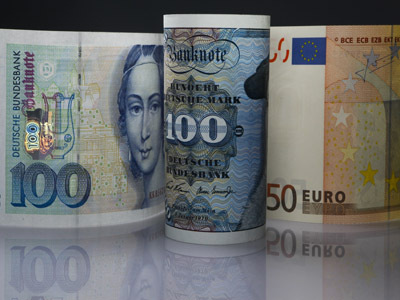 Earlier worries over Spain, coupled with growing uncertainty about Greece's survival in the eurozone and that it may spur Europe's sovereign debt crisis drove the euro to a two-year low on Wednesday, while European shares also tumbled after Italy had to pay heavily to sell bonds. Guldenmark? Geuro? What’s next for the eurozone?